News alert! Clinique is finally re-opening a counter in Mall of Asia this December 8. They will be located beside MAC, in the same row where Forever 21 is. :) To celebrate the opening month, they are giving a new door gift, free (one per client) for a single receipt purchase of at least P1,995. This is valid for opening day only on December 8. Starting December 9 to 31, this exclusive gift will be available for a minimum purchase of P3,000. 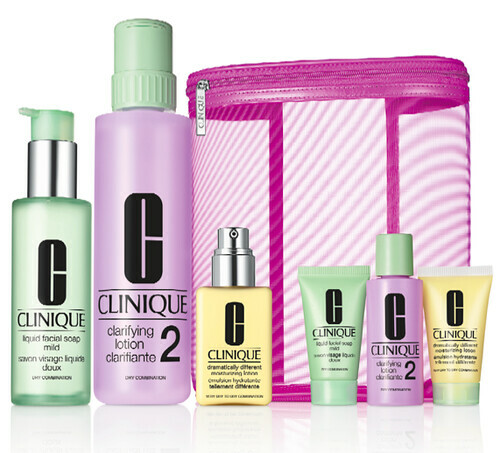 If you're at a loss about what to try from Clinique, you can try the Moisture Surge (best moisturizer for me! ), Airbrush Concealer, Pore Refining Solutions Foundation (will be reviewing soon), and their popular Chubby Sticks. :) Those are just a few, there's a lot to love from this brand. You can check all my past reviews for reference. 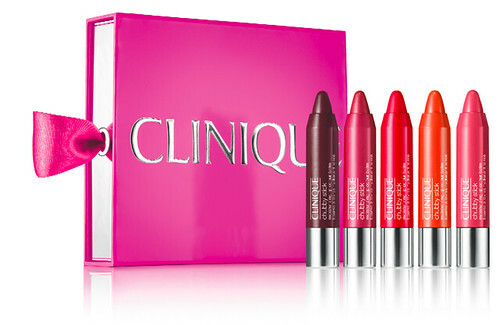 You can also looks into the special Clinique Holiday Sets for 2012. They're a great way to get a lot of stuff for a fraction of the cost - great for first time Clinique users as well as those who need to restock their faves. :) Do note however that you can't buy the set then avail of the free door gift. Here's detailed info with prices! A sweet treat for lips. Cult favorite Black Honey is a shade any woman can wear, yet somehow looks different on everyone. Here, three more great shades get the Black Honey treatment, merging the unique, natural tone of her lips to create something wonderful and hers alone. Great colour at great value. Isn’t it sweet? Inclusions: Almost Lipstick in Black Honey, Luscious Honey, Flirty Honey, and Shy Honey. Five mouth -watering shades of award-winning Chubby Stick Moisturizing Lip Colour Balm are just what dry, delicate lips need to feel comfortable. Part lip balm, part lip colour, and altogether wonderful. In a range to take her through the holiday season—including two new shades, Curvy Candy and Oversized Orange. A gift to get her glowing – wherever she goes. Dermatologist-developed 3-Step Skin Care is customized to give her skin exactly what it needs to be great skin. Liquid Facial Soap cleanses deeply but gently. Clarifying Lotion helps clear away pollution, dulling flakes for smooth, glowing skin and lets it accept moisture better. Dramatically Different Moisturizing Lotion softens, smoothes, improves. Here, one set to keep at home, one to take, all in a large, mesh cosmetics bag Great skin, at a great value. Inclusions: Liquid Facial Soap Mild, 200ml and 30ml; Clarifying Lotion 2 with Pump, 487ml and 60ml; Dramatically Different Moisturizing Lotion, 125ml and 30ml. Daily grooming essentials for him. Start with a shave – M Shave Aloe Gel cushions the beard and calms the skin. The After Shave Balm comforts and soothes. Before heading out, a spritz of Clinique Happy for Men. Cool. Crisp. A hint of citrus. A refreshing scent for men to wear and be happy. Inclusions: Clinique Happy for Men, 100ml; Happy After Shave Balm, 50ml; Skin Supplies for Men M Shave Aloe Gel, 41ml. Double the happiness. A hint of citrus, a wealth of flowers, a mix of emotions. 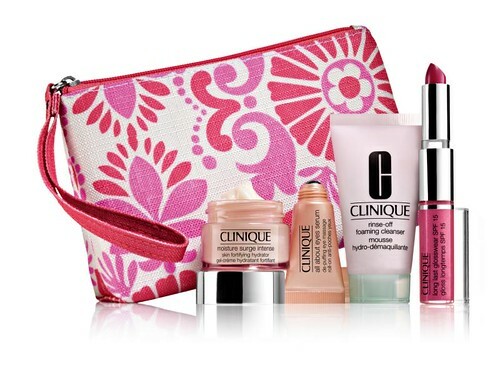 Here, two reasons to make her smile: the bright scent of Clinique Happy Perfume Spray and skin-softening Body Smoother. Both arrive in a ready-to-gift box at a great value. Inclusions: Clinique Happy Body Smoother, 75ml; Clinique Happy Perfume Spray, 30ml.